Apex Legends • Crashing Solutions From Other Players? - KABALYERO - PLAY, BLOG & EARN! Home / apex legends / apex legends crashing / apex legends crashing to desktop / apex legends graphics setting / apex legends unplayable / lowered my graphics setting / updated my video card / Apex Legends • Crashing Solutions From Other Players? 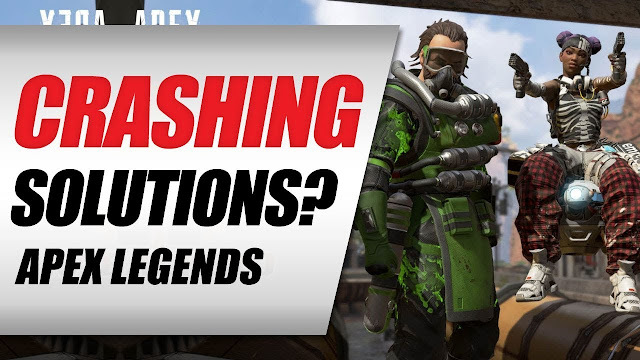 Apex Legends • Crashing Solutions From Other Players? #ApexLegends is a new #BattleRoyale game from EA but it's unplayable because it keeps crashing whenever I play it. This #crashingproblem of Apex Legends was posted in EA's support website with a few pages of replies from other players. Some of these players have posted replies with possible solutions to the crashing problem. Did these possible solutions to Apex Legends' crashing problem work for me or not? Watch the video to find out.